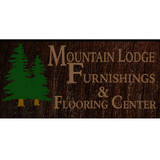 We are a locally owned and operated business providing flooring Salt Lake City and all of Utah. We offer one of the largest selections of flooring including carpet, hardwood, tile, stone, laminate and much more. When working with Floorcraft Design, you’ll get much more than just a great product that fits within your lifestyle and budget, but you’ll also receive the attention you need to help you make the right selections. Our team is dedicated to help you along with your Utah remodeling from the design process from start to completion. Providers of quality flooring at the best price, Carpet, Hardwood, Laminate, Tile and Stone. We offer installation so that you only have to worry on choosing the type of floor that best suits your taste. Sales and installation of carpet, hardwood, tile, laminate, tile and vinyl. Family business serving the wasatch front for twenty years. Leading manufacture of premium modular garage flooring systems. We are an online retailer of Custom Luxury Natural Fiber Rugs. Utilizing only natural plant fibers or wool, we offer the most intricately woven, custom cut and bound rugs in the marketplace. Natural rugs products are cut and finished in the USA from materials sourced world-wide. Our expert craftsmen hand cut and hand sew a multitude of border materials to create the perfect complement to your interiors. Completely bio-degradable, hypo-allergenic and anti-static, we are proud to deliver a product good for the earth and the people who live on it. For three generations, Namba Services has been a leader from small fix-up projects to full-scale construction. Our team of experts specializes in delivering superior quality, no matter what the project. CLEANWRAP Interior Protection installations check re-roofing and remodeling dust and debris from cross contaminating clean-room type environments ,retail stores, class A office space, and just about any type of environment you want kept clean. *Authorized Dealer of Shaw Floors* Cost U Less Carpets gives flooring buyers something to be happy about before walking to our shop. Our bulk-buying method enables our store in Utah to offer several custom products at discounted wholesale prices. With us, it’s not about competitive pricing; we sell our products at a discounted price. 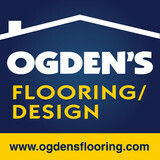 This is available on everything you can buy from our two flooring stores in Utah, in Draper and South Jordan. Customers will also find our service sufficient, as we carry a complete line of carpets, tile, hardwood, laminate, and rugs from top manufacturers at discounted rates. We can provide financing assistance, and offer lifetime warranties. We aim to be the custom flooring store you’ll always rely on. We give free consultations, so our experienced sales staff can help you pick the right flooring product, whether it be rugs, laminate, hardwood, or tile. Contact our Draper or South Jordan store today! Full Service Showroom featuring the finest carpets, rugs, and wood products. Our highly qualified personnel will measure, coordinate your flooring choice of carpet, rug, or wood and schedule a certified professional installation. We represent over 75 Mills. Carpet dealers in Lindon, UT help homeowners choose the correct carpet covering for their floors, and also assist with carpet maintenance. This includes determining factors like material, carpet pile, durability, color and size, as well as helping with any custom carpet design. After completing the initial installation (which includes removal of the old flooring, if applicable, and surface prep), they may also handle follow-up maintenance requests such as carpet cleaning, carpet repair and carpet stretching. Carpet dealers might work closely with Utah contractors, interior designers and others in the home building and home improvement industry. Here are some related professionals and vendors to complement the work of carpet dealers: Interior Designers & Decorators, Design-Build Firms, Specialty Contractors, General Contractors, Home Builders. Find a carpet dealer on Houzz. Narrow your search in the Professionals section of the website to carpet dealers in Lindon, UT, and read reviews and ratings for pros in your area.